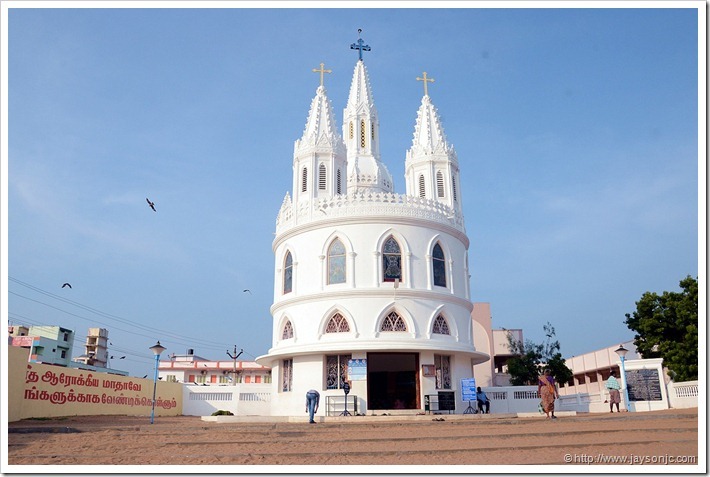 Note: If you are looking for information on the Velankanni Church, Please see my Velankanni Church Guide. This article was updated in December 2014 to reflect latest train timings. Every couple of years we visit Velankanni church. My wife goes there because of her religious convictions and I go there since it is another opportunity to travel and experience cultural diversity of our country. 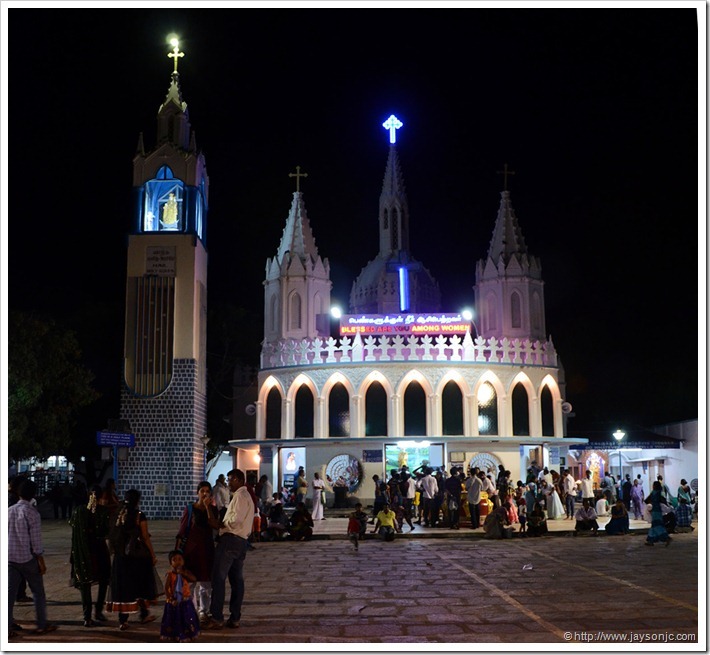 We usually visit during the "off season"(November) since in "peak season" (August and December), Velankanni is jam packed with the faithful. It ensures that we can get train tickets and can stay in good hotels without paying through the nose. It was almost 4 years since we visited Velankanni church. 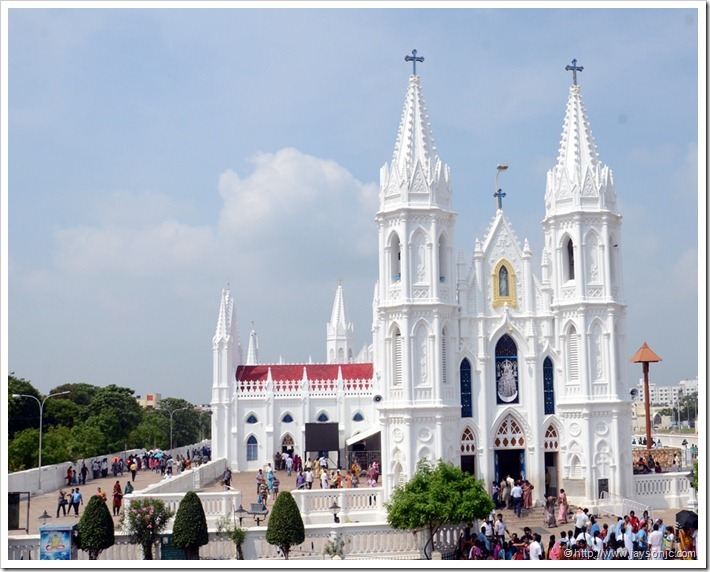 I had written a Velankanni church guide based on that trip which has been very popular. It is satisfying to know that a lot of people found the guide very useful in planning their trip. 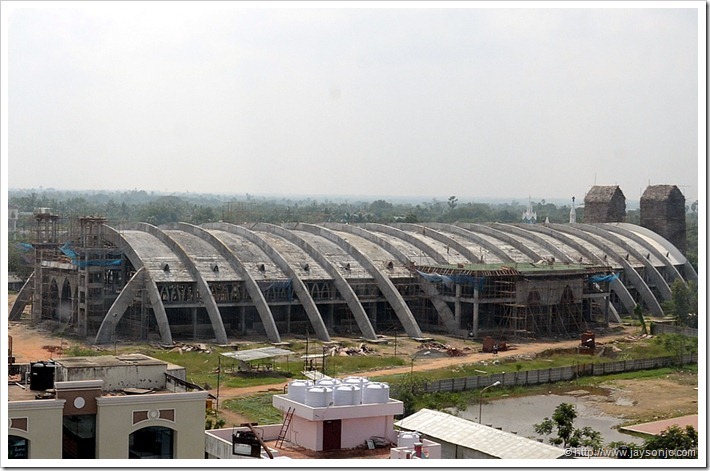 However many things in the article has changed (there is now direct rail connectivity up to Velankanni and the hotel Velankanni we had stayed last time is demolished for constructing something else) and I decided to update the article. At the same time I also decided to write this new article which would be helpful for people visiting Velankanni by train from Kerala. As of writing this article, there is only one direct long distance train to Velankanni. This is a weekly train running on Tuesday from Vasco Da Gama in Goa to Velankanni. All the other trains pass through a nearby station Nagapattinam which is 12KM away from Velankanni. Trains usually terminate either at Nagore or at Karaikal. The good news is that usually there is a connecting passenger train from Nagapattinam to Velankanni. 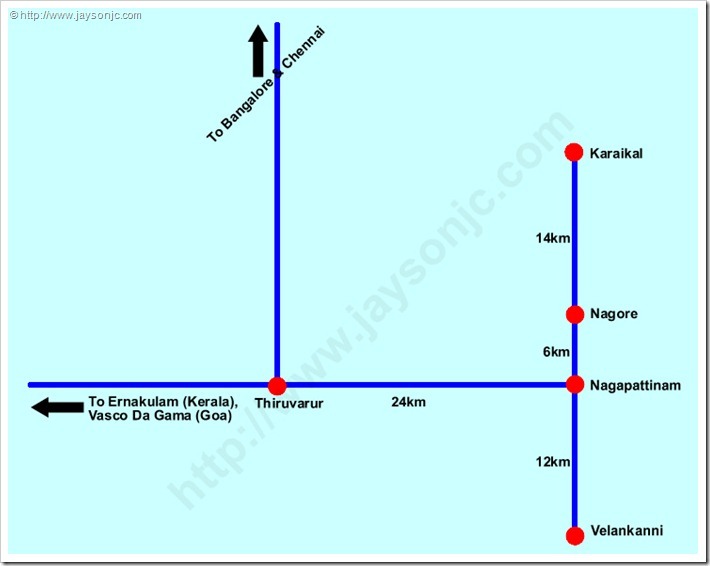 Check out the railway map below for the train routes to Velankanni. 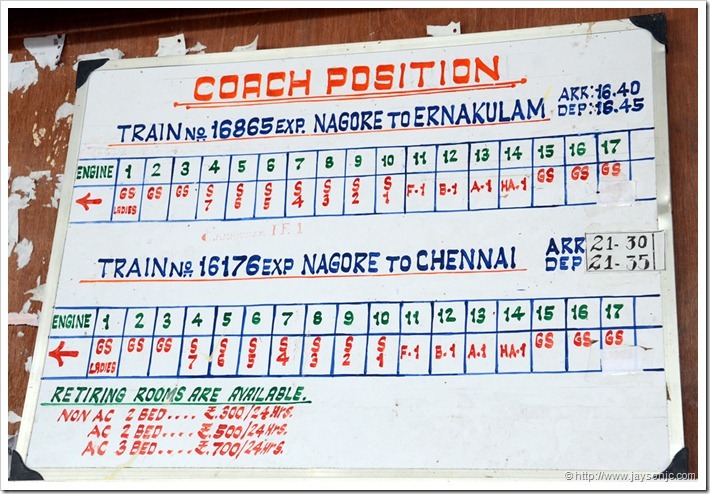 Following table contains the train timings at Nagapattinam railway station. Please check Indian Railways Website for latest information as train timings occasionally change. The only train from Kerala to Velankanni is the old tea garden express which now goes up to Karaikal via Nagapattinam. The good news is that railways provide a connecting passenger train from Nagapattinam to Velankanni. 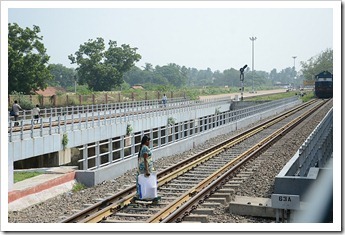 The connecting time is under an hour and the passenger train will wait for the passengers from the Ernakulam train. 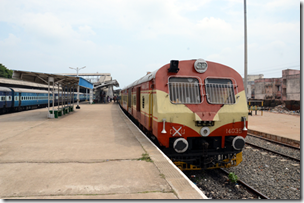 The Karaikal Express train (earlier Tea Garden express) running from Ernakulam to Karaikal is a daily train. 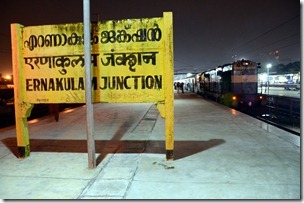 It starts from Ernakulam Junction at 10:05pm and has stops at Ernakulam Town and Idappalli. 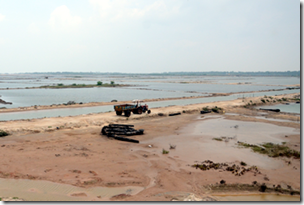 If on time, it reaches Nagapattinam at 10:10am on the next day. You then need to take a connecting passenger train at 11:15am to Velankanni. You need to take Rs.2 ticket from Nagapattinam station. It takes about half an hour to reach Velankanni and hence you should be reaching there before 12:00pm. Don’t worry even if the Ernakulam train is late, since Velankanni passenger train will wait for around 10 minutes after the express train has reached the station. The return train from Nagapattinam to Ernakulam starts at 4:40pm. The connecting local passenger starts at 4:00pm from Velankanni and it reaches Nagapattinam at around 4:30pm. The connection is too close to be comfortable, however the railway staff seems to ensure that all get the connection. In fact during our trip, the Velankanni passenger was stopped by the engine driver once he saw that a girl was running to catch the train. 16187 ERNAKULAM EXP – Karaikal to Ernakulam Jn. This time our Velankanni trip consisted of our entire family including my parents and my brother. So in total we were a team of 9 including 3 children. We started around 8:30pm from my brother’s home in Kakkanad by taxi and reached well before 9:30pm at Ernakulam Junction railway station. We bought a couple of water bottles from the station (it appears that the train has no pantry service). Karaikal express started on time at 10:05pm and most of the passengers were heading to either Thiruchirappalli or Nagapattinam. We had booked first class (FC) and it offers privacy but no air conditioning. This is the perfect cost effective way to travel as a family if you are not very particular about air conditioning. I was fast asleep in the morning and suddenly my wife woke me up. A guy in plain clothes was standing beside my birth and demanded ticket. He seemed very agitated and had a thick intimidating moustache. I was still half asleep and took out my ticket and gave it to him. Then I realized he was part of a "squad" trying to find people without tickets. I have rarely seen "squads" in Kerala trains. He even checked the age of the children travelling with us! I admire the sincerity with which he was doing his duty. He was agitated because he had a hard time moving all the ticketless and general ticket holders in the first class compartment! Our ticket was checked 3 times (2 times by TTEs and one time by the squad) before we reached Nagapattinam. We reached Thiruchirappalli Jn. by around 8:00am. The usual halt time is 10 minutes, but since engine position is reversed here, it might stop here for a while. We bought our breakfast from a vegetarian hotel (Vasantha Bhavan I think). If you miss buying your breakfast, your next option is Thanjavur station. 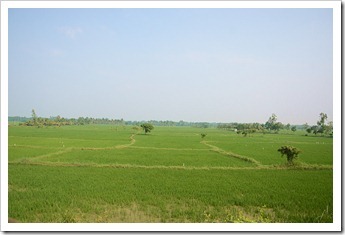 The journey from Thiruchirappalli to Nagapattinam takes you through a lot of greenery including large paddy fields. The train was late by an hour and we reached Nagapattinam around 11:10ams. The Velankanni passenger train was waiting on the third platform (the scheduled departure time is 11:15am) and I ran towards the ticket counter to take the Rs.2 tickets. When I looked back others were casually walking to the ticket counter. This is one of the moments when "ignorance is bliss". The Velankanni train waited for almost 15 minutes and the driver ensured that all the pilgrims are on the train. The train was almost full, but since we were early we got a nice place to sit. 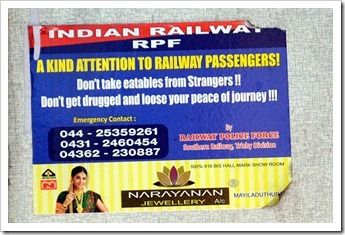 Be ready to face an army of beggars on the train including the children trying to sell Velankanni souvenirs. The relatively new Nagapattinam – Velankanni railway lines are damaged (probably due to flooding) and is undergoing repair and strengthening. The train was going slow and it took over half an hour to cover under 12KM. The area you go through are the worst affected during the Tsunami in December 2004. The land areas here are at a very low height from sea level making it quite prone for flooding. We reached Velankanni station around 12pm. Autos were waiting for passengers to the church and two types of autos were available. The large one can easily accommodate up to 10 passengers and plenty of luggage! We took the auto to Clinton Park Inn hotel (See my Velankanni Church guide for Velankanni hotel options) which was barely 400m from the railway station. The large auto has a fixed rate of Rs.100. We also took his (Antony) mobile number since we had plans to go by the same auto to Nagapattinam while returning (I wasn’t comfortable about the 10 minute train transfer!). Clinton Park Inn is the best luxury hotel available in Velankanni and it was not there when I went to Velankanni in 2008. We had opted for non-AC rooms which had a tariff of around Rs.2600 including free buffet breakfast. The food here is expensive, but is pretty good. Best of all, this hotel was within walking distance from the Velankanni church. We spent the rest of the day in and around Velankanni church. A lot pilgrims get their head shaven (tonsure) in order to fulfill their vows for the safe life of their children. People also get the head of their infants shaven. 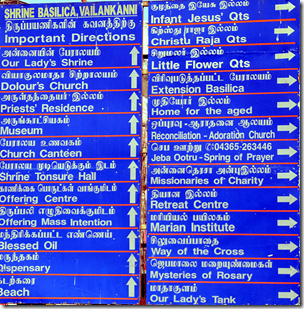 There is an official tonsure centre operated by Velankanni church near the road which leads to the beach. We went there since the youngest in our group was going to get her head shaven. The fee for tonsure is Rs.10 and after paying it at the counter, they will give a ticket and a half blade for shaving. You can give it to any of the guys sitting inside and they will do the tonsure. Tipping is discouraged, but some do it. One of the interesting aspects of living in India is surviving innovative ways people find to cheat others. I am usually very guarded in my dealings with strangers, but still get cheated a lot even after having a life experience of 36 years. We were conned by a skilled fraud outside the Tonsure hall. There was a guy standing in front of the tonsure hall who gave a bucket to us when we came out. He said we should use the bucket and then clean the child’s head. He is so experienced in his dealings that we thought it was a kind gesture. When we returned from the beach, he was waiting for us and after collecting the bucket, gave us two packets of candles for offering at the church. He charged Rs.200 for it!!! He did it so well that I realized the cheating only after 10 minutes of the incident! Velankanni church authorities are doing everything they can to minimize fraud. So always depend on church facilities. Here is a tip when you visit Velankanni. If you suddenly see someone helping you, you might end up paying dearly for it :-). Another problem I faced was the auto guys (in 2008, they were much better). Some charged Rs.20 for 500m distance while some other nasty folks charged Rs.40 for the same distance. So always fix the fare before getting in. 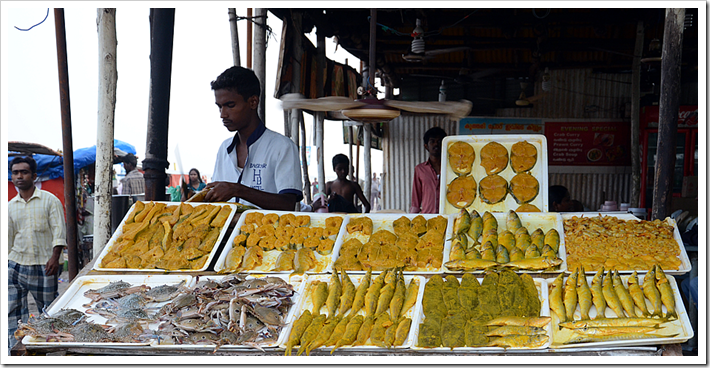 The Velankanni beachside was jam packed and there are plenty of shops around this place. We walked back to the holy path and the lady’s tank and then we returned to hotel in time for dinner. The next day we went for the Malayalam mass at the Basilica which is scheduled at 9AM every day. A substantial number of pilgrims in Velankanni are from Kerala. We then went to the Museum of offerings which displays a sample of various offerings made at the church by pilgrims. There was a lot of gold cradles, gold rings and other items displayed. The amazing diversity of India is on display here. There is also a book stall inside, but I had a hard time finding any Velankanni related literature in English. After lunch and check out from Clinton Park, we called up Mr. Antony and was on our way to Nagapattinam by auto. The auto ride was interesting and we reached Nagapattinam around 3:30PM. The Velankanni connecting train had arrived on time at 4:30pm. The Ernakulam express arrived a bit late at 5pm. When the train stopped at Thiruvarur station, an RPF officer came into the first class. He sat in one of our coupes. I politely told him that we have reservation there (We were sitting in the other cabin with parents). His assistant replied that he will be getting down at Thanjavur! 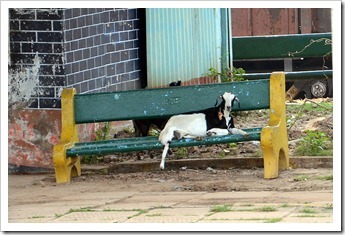 Thankfully when TTE came, he relocated him to another vacant coupe. Throughout our journey, ticketless or general ticket holders ended up hiding in First class. The TTE and the "special squad" had the unenviable task of moving them away almost every hour. If not for the hard work of the TTE and the squads, the travel in reserved coaches would be a nightmare. In Kerala, TTEs suffer a lot due to unruly unreserved passengers and season ticket holders. Season ticket and general ticket holders squeeze into reserved compartment, making the life of long distance travellers a living hell. The irony is that season ticket holders pay very low fare! The scheduled arrival time at Trichy was 8pm and we reached there almost half an hour early! There is an engine change at the station and we got out to buy dinner. There are a couple of good vegetarian hotels in Trichy station and a popular one was Vasanta Bhavan. There was a big commotion here as people tried to get the token for food parcel. The guy at the entrance was shouting that there is no need for the panic as the train will halt at least for 30 minutes. But nobody listened to him! The pushing and jostling at the counter is a good way to test your ability to survive in a fight. We bought Chappathi set and masala dosa for dinner. We reached Ernakulam Jn. around 7:30pm and it seems my wife is already planning our next trip! Velankanni Railway Station: You can see the church far away on the left side as two small pillars. 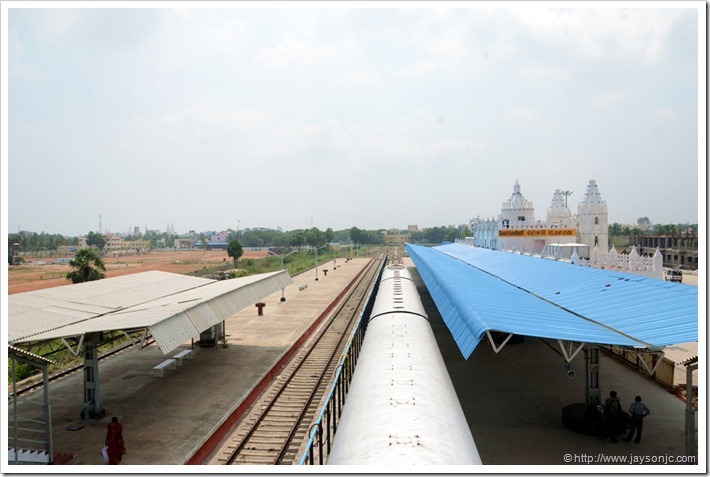 The Velankanni railway station is constructed mirroring the architecture of the Velankanni church! Lady’s Tank Church: This church is located about 500m from the Basilica at the end of the holy path on the western side. According to believers, this is where Mother Mary appeared to a milk boy and topped up his milk pot. There was a pond here and the water source is now used to make the holy water. 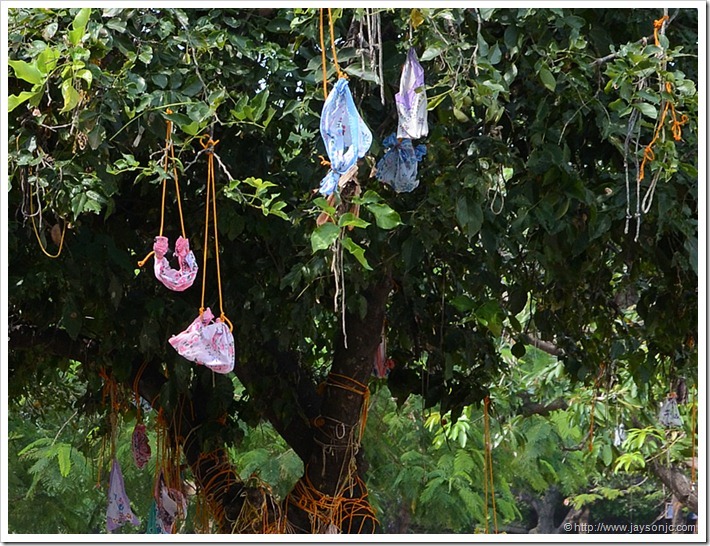 Cloth Cradles Near Lady’s Tank: Couples tie these "cloth cradles" as a offering to Virgin Mary asking for the gift of a child. 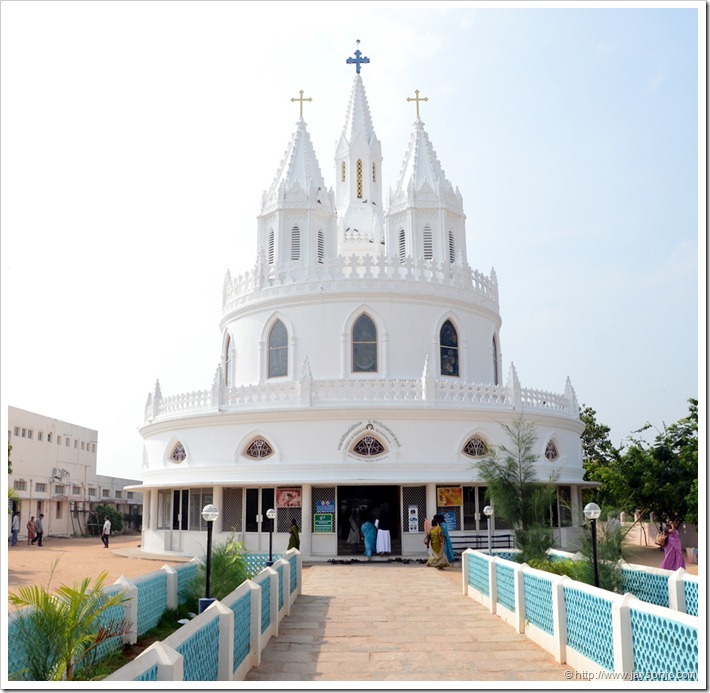 Naduthittu Church: This church is located on the main road on the northern side of the Basilica. According to the legend, this is where Mother Mary appeared to a crippled boy and healed his legs. The Adoration and Reconciliation Chapel : The place for prayer. There is also a counselling centre adjacent to this. Velankanni Shrine Basilica : This is the sea facing side of Velankanni Shrine Basilica. Which 160,000 sq ft and has artwork and objects? We are from Vasai – near Mumbai. 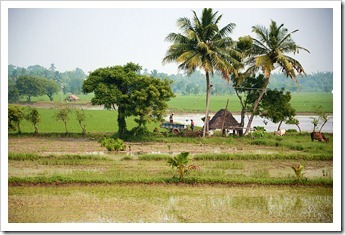 we plan to visit Vailankanni in the 1st or 2nd week of december. Need to know the best available option by train to reach there. later on we intend visiting / touring Kerala and then leaving for Vasai/mumbai from Kerala. Please advice best possible way preferably by train as there will be 3 senior citizens with us in the group of 7-8. Beaautiful travel diary. I thought I was reading a book. With this knowledge nobody will get lost while going to Velankani. I myself is planning a trip in the near future. Updated train timings in article. As John noted above, some trains now go up to Velankanni. Each and every points covered while travelling required. (no idea what this is!)PICTURE. 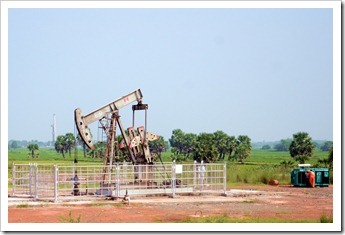 This is ONGC installation, sucker pump to lift oil from the depth of the earth. When I go through your travel diary, I felt that I already reach there. I was planning to visit there in my next vacation. Your diary was very perfect in all manners and helpful who are planning to go there. Thanks for your precious time to write this and publish in this site.. Thanks for sparing time to give such a useful information about the Velankanni travel in detail at one place. Best wishes.